Cloud Hosting means a high powered, developer friendly, reliable and scalable hosting solution. That’s exactly the level of Cloud Hosting service you’ll get from Ideastack Solutions.Cloud has turned out to be such a popular expression, to the point that it has practically lost any importance by any stretch of the imagination. We set the significance back into Cloud. When your company needs a Virtual Private Server, why not go with a Virtual Private Server in the Cloud solution and give your VPS all the benefits that cloud computing can offer? When looking for a VPS in the Cloud solution, why not go with the company that is the best in the business when it comes to private Cloud solutions? Ideastack Solutions Cloud VPS solution offers you the kind of scalability, power, robustness and control that is only possible with the cloud. Whether you are looking for a single server or a robust, load balanced solution, for everything from websites to applications in the cloud, we have the Cloud VPS hosting solution for you and at prices that start much lower than you thought possible. The Apache Tomcat software is an open source implementation specially used for Java Settler, Java Server Pages, Java Expression Language and Java Web Socket technologies.We make this application Tomcat to easily run in the cloud, locally or virtually. Red Hat JBoss Middle-ware is a family of lightweight, cloud-friendly, which uses an open source development model.With Us you can use this to create applications,integrate applications,data,& devices and as well help you to automate business processes . Multicraft is a powerful and flexible hosting platform for Minecraft servers. MultiCraft is a mod in Minecraft that contains countless portals to other areas It allows full administrators to control thousands of Minecraft servers from a single Web-based control panel.We help you to setup these servers on multiple physical or virtual machines depending on the edition. Railo Server, is open source software which implements the general-purpose CFML server-side scripting language, often we use for developing dynamic websites,web applications and intranet systems. We provide Railo server to Accelerate your CFML and Java development with 100% compatible with JBoss Application Server, Tomcat and many other most popular Java Servlet engines. A dynamic, open source programming language with a focus on simplicity and productivity.It includes the latest release of Ruby, Rails, RVM, MySQL, SQLite, NGINX, Apache, Memcache and Varnish, Git and Subersion, Sphinx, PHP and phpMyAdmin. It also includes: Thin, RMagick, Rake, Mongrel, Passenger, Nokogiri . We also provide libraries such as OpenSSL, openLDAP, CURL, ImageMagick and more many. LAMP is an model of web service solution stacks, originally consists of four main componenets open-source components: the Linux operating system, the Apache HTTP Server, the MySQL relational database management system (RDBMS), and the PHP programming language. Server. 1. At Ideastack Solutions, we’re focused on making sure our customers get the fastest page loads. That’s because we understand that page load speeds impact everything from your conversion rate to your bounce rate to your SEO rankings. That’s why you’ll be hosted on our Fast servers. Fast Servers are our fine-tuned, high performance platform. Our Fast Servers include all of our speed tweaks and solutions designed to make sure you get the fastest page loads possible. They include features like our up to 300% faster solid state drives (SSDs), redundant network and our modern hardware. You’ll love the blazing fast page load speeds you’ll get when you choose Ideastack Solutions ! 2. Customize your Cloud Hosting account even further with your choice of Linux operating systems. Choose from the best versions of Slackware, Debian, Fedora, CentOS, Ubuntu and Gentoo. You can even reload your Cloud on demand with a different operating system or version whenever you like right from your Cloud console. 4.The vast majority of Cloud Hosting providers you will come across will charge you extra for their fail-over service. Not at Ideastack Hosting! We offer it for free! That means you get ultimate peace of mind in addition to the best in hosting redundancy. Even better is the fact that you don’t even have to set up this service up on our account. High Availability Failover is already configured on your account and is ready to go! 5.Choosing where to host your important files and websites can be a difficult decision. As much as we try to make it as easy for you to choose Ideastack Hosting as possible, we understand that it may not be easy to make your ultimate decision. That’s why we offer our Anytime Money Back Guarantee. 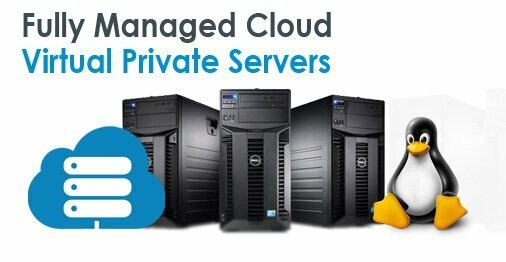 You can try our Cloud Hosting completely risk free. If you decide we’re not the right host for you (we don’t think you’ll come to that conclusion), we’ll be happy to offer you a full refund(within 14 days).